Shoppers with an eye for a bargain and a taste for style can satisfy both at The Gathering Place Warehouse Home Furnishings Sale, this Saturday and Sunday, June 30 and July 1. The Gathering Place Warehouse Sale photo gallery displays a typical sampling of the contents of the treasure trove, but veterans of the Warehouse Sale know that the only way to truly appreciate the variety, quality and value of these items is to attend the sale. And savvy shoppers can come home with even better bargains by taking advantage of the sale coupon for $10.00 off any single item priced at $50.00 or more (click here for coupon). 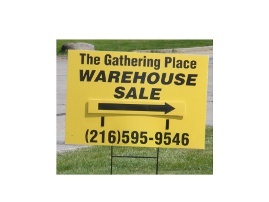 Look for this sign at the driveway entrance to The Gathering Place Warehouse Sale. Where: The Gathering Place Warehouse, 4911 Commerce Parkway, Warrensville Heights (off Miles Road, east of Richmond Road) (map) Please note that this sale is at the warehouse, not The Gathering Place itself. Look for the sign at the driveway entrance. 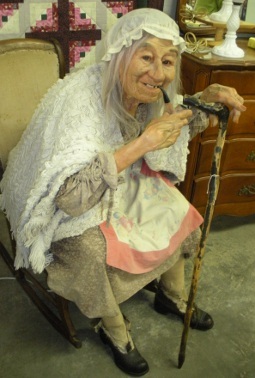 Saturday, June 30, 9 a.m.–3 p.m.
Sunday, July 1, 10 a.m.–2 p.m.
Look for this personable soft sculpture to greet you at The Gathering Place Warehouse Sale. Click here to see the sale flyer. To be added to the email list for notification of future warehouse sales, email Cheryl Apisdorf at apisdorf@touchedbycancer.org. Proceeds from sales help fund the work of The Gathering Place: free programs to support, educate and empower individuals and families touched by cancer. Northeast Ohio book-lovers can once again shop recycled at one of the area’s most popular Friends of the Library book sales, June 29–30, at the Read House, the new home of the Friends of the Mentor Public Library. Friday, June 29, 10 a.m.–4 p.m.
Saturday, June 30, 10 a.m.–4 p.m.
On Thursday, June 28, from 4–7 p.m., Friends of the Library members are invited to preview the sale and enjoy refreshments. Proceeds from the sales help support library programs and facilities, and every purchase from a Friends of the Library book sale is an exercise in reducing, reusing, and recycling. Long known for their large, well organized book sales, the Mentor Friends have been busy behind the scenes as they moved into their new quarters in the Read House, freeing for library use the space they had used for book storage and sales on the library’s lower level. That work now completed, they are ready to welcome back their members and book-buying fans at this first sale in their new home. The Read House is located next door to the Main Library (map). Parking is available behind the Main Library at 8215 Mentor Avenue (map) and in the library’s auxiliary lot at the corner of Mentor Avenue and Sharonlee Drive (map). Friday, June 8: 1–5 p.m.
Saturday, June 9, 9 a.m.–5 p.m. The Friends Benefactor Preview sale, Friday, June 8, 12–1 p.m., is limited to Friends of the Library members only. Books, videos, and CDs are priced at 50¢–$1.00, and children’s books are 4/$1.00. For more information, see the Friends of the Orange Library web site. June 9 (Saturday), Burton Public Library Book Sale. Held at 14588 West Park Street (map). Hours are 9 a.m.–4 p.m. Books are 80% donated, 50% hardcover, sorted, priced 50¢–$2.00. A great selection of summer reading is available at a Friends of the Library book sale. June 9 (Saturday), Mayfield Library Book Sale. Held at 6080 Wilson Mills Road (map). 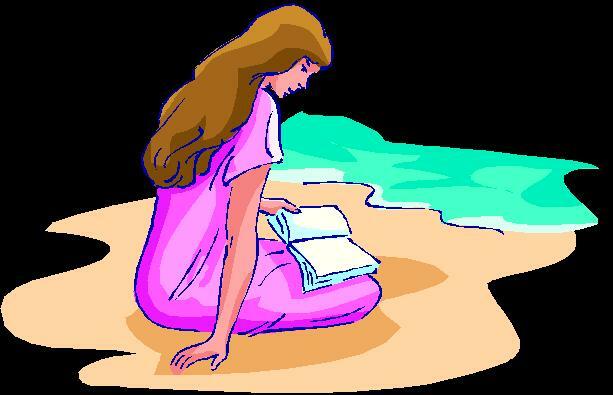 Hours are 9 a.m.–5 p.m.
June 30 (Saturday), Painesville, Morley Library Book Sale. 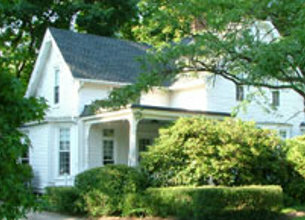 Held at 184 Phelps Street (map). Hours are 10 a.m.–3 p.m. Proceeds from the sales help support the sponsoring Friends organizations, who in turn provide funding for local library programs. And every purchase from a Friends of the Library Book Sale is an exercise in reducing, reusing and recycling. Old tractors don’t belong in landfills, either. Few mechanical devices inspire love like an old tractor, so a recent Click and Clack column about a 1945 Farmall-A in failing health warmed my heart. 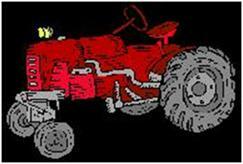 The tractor’s owner had written to Car Talk, the King Features column written by Tom and Ray Magliozzi (aka Click and Clack, the Tappet Brothers), for help diagnosing a problem: the tractor would start and run well for 20–30 minutes, but then would start to miss and then stall, usually while going up a hill. The owner checked out the carburetor and fuel lines, put in new plugs, tried a couple of gasoline additives — nothing worked. He considered replacing the carburetor but didn’t want to go that far unless he could be sure that was the problem. If you love your tractor, you won’t give up on it. Tom and Ray, in their column’s usual back-and-forth discussion format, suggested that the problem lay in either the ignition or the carburetor. Maybe it was a case of float sink, which replacing the carburetor would solve. Or it might be a weak spark that acceleration and a sudden increase in fuel flow was extinguishing, causing the engine to stall. So new plugs, points, and condenser might be the answer, and maybe a new coil, too. Make sure you have more than a little gas in the tank (advice based on the writer’s experience with his 1950 Ferguson). Check for foreign objects in the fuel tank (from another writer’s memories of pranks played on a friend). If it’s a battery engine, replace the coil, condenser, and points, but if it’s magneto, replace points and condenser and maybe rebuild the magneto. If it’s a magneto, you’re better off converting it to distributor and coil. Troubleshoot to narrow it down — a list of at least a dozen checks — and don’t ask Tom and Ray questions about anything besides cars and trucks. Maybe it’s water in the fuel line. Is the gas cap venting? My old pickup truck used to do this — turned out that the fuel filter needed replacing. Run a compression check on the engine, and if that doesn’t solve the problem, check that the governor is working. Pull the sediment bulb out of the fuel line and empty it. Even if the condenser is new, it might have been bad out of the box. Did you run an ignition analyzer check? Is there water in the carburetor bowl? When I finished reading, I knew only a little more about tractors, but I had learned a lot about the people who love them. My kind of people! Use it up, wear it out … and by all means, keep it out of the landfill!